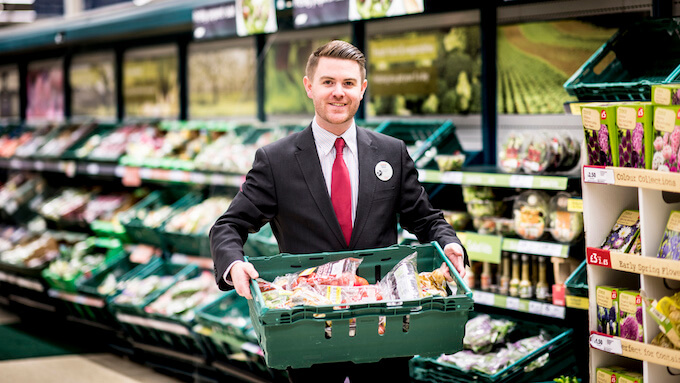 Tesco's ambition of becoming the first grocer to throw away no food fit for human consumption came a step closer as the supermarket announced it is to give food to staff for free rather than waste it. Tesco already tries to donate leftover food to charities and community groups, but this is not always possible. So the UK's biggest supermarket is to roll out 'Colleague Shops' across all of its UK store which will offer surplus food to staff - initially for a nominal 1p charge and, later in the year, free of charge. Dedicated fridges are to be installed in staff room to store the food as part of a scheme Tesco is describing as a "win win", helping the supermarket tackle food waste while offering staff a little extra help at the end of their shifts.